Website: Visit the Ham House and Garden website. Ham House and Garden is a 17th century house with gardens near Twickenham in Surrey. This grand Stuart house dating back to the early 1600s is managed by the National Trust property and sits on the banks of the river Thames near Twickenham. The house is largely unchanged since the 1600s and has lavishly decorated interiors and features major collections of fine art, furniture, ceramics and textiles. Visitors can also view the below stairs areas to learn what life was like for the servants and enjoy the hands on activities. Introductory talks about the house, included with entry, take place between 11am and 11:45am. The 17th century themed garden regularly features garden tours included in the admission price. Amongst the things to see in the gardens are the box parterre, the walled kitchen garden, fountain garden, wilderness garden, summerhouses and outbuildings including an ice house and a still house. 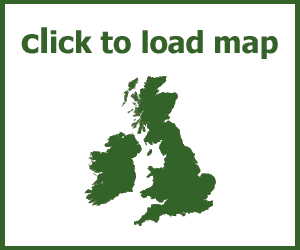 Walking and cycling routes available to download from the National Trust website. Shop selling gifts, souvenirs, books, locally made craft items and plants. Orangery Café serving light lunches, snacks, cakes and drinks. Free wi-fi in the café. Picnics welcome in the gardens. Please check the Ham House and Garden website for opening hours as times vary. Before you start your journey to Ham House and Garden for your day out, we recommend that you check their website or contact them to confirm opening times and admission prices.